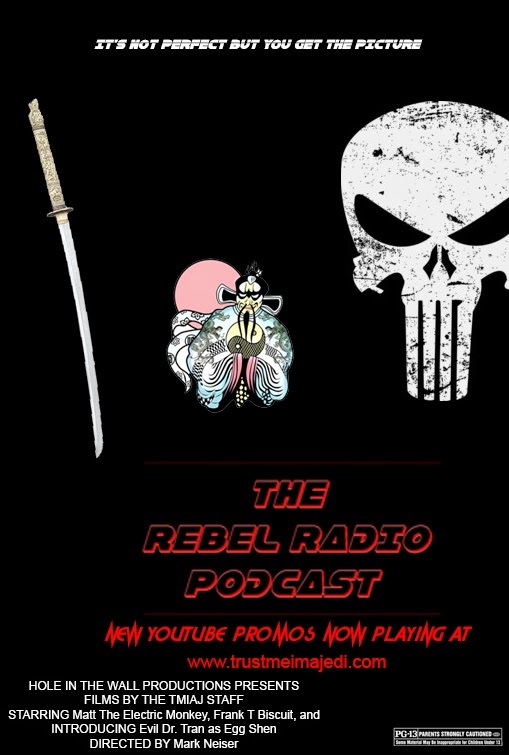 A few months back The Rebel Radio Podcast crew brought you three video promos that we had a ton of fun making for you all. The crew is back with a new set of three videos that we hope you enjoy! Listen for a new episode of The Rebel Radio Podcast next week but for now enjoy our brand new promos videos! Look for deleted scenes and outtakes soon as well!